* 아스트리드 린드그렌 기념상의 새로운 심사위원으로엘리나 드루커(Elina Druker)가 선출되었습니다. 아래에 자세한 소식 전해 드립니다. 스웨덴 예술위원회에서는 스톡홀름 대학 비교문학 연구가인 엘리자 드루커를 아스트리드 린드그렌 기념상(ALMA)의 새로운 심사위원으로 임명하였다. 스웨덴 예술위원회의 회장인 커스틴 브룬버그는 아스트리드 린드그렌 기념상의 심사위원으로 엘리나 드루커를 선정하게 되어 위원회에서는 무척 기쁘게 생각한다고 말하였다. 그는 또한 이는 매우 중요한 임무이며 엘리나 드루커는 다양한 예술 장르와 미디어에 대한 지식으로 심사위원단에 큰 공헌을 하게 될 것이라고 확신한다고 말하였다. 엘리나 드루커는 아그네타 에드워즈(Agneta Edwards)가 2011년 6월 30일 심사위원단을 떠나면서 그의 자리를 대신하게 된다. 엘리나 드루커는 2011년 7월 1일부터 심사위원으로의 역할을 수행하게 될 것이다. * 자세한 내용은 아래 영문 글과 홈페이지를 참고하시기 바랍니다. The Board of the Swedish Arts Council has appointed Elina Druker, researcher in comparative literature at the Stockholm University, as a member of the jury for the Astrid Lindgren Memorial Award (ALMA). – The Board is very pleased that Elina Druker has accepted the position as jury member for the Astrid Lindgren Memorial Award, says Kerstin Brunnberg, Chairperson of the Swedish Arts Council. It is an important mission and I am sure she will add much to the jury, with her knowledge of various art genres and media. Elina Druker replaces literature teacher, lecturer and writer Agneta Edwards, who leaves the ALMA jury on June 30th 2011 at her own request to work on other assignments. Elina Druker will assume the role of member on July 1st, 2011. Elina Druker is a researcher with considerable experience in children's and young adult literature, with special emphasis on picture books. 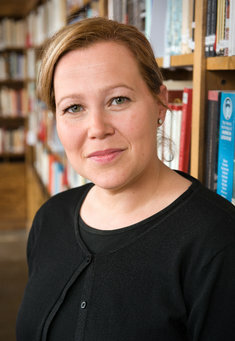 Elina Druker also has assignments as critic in the Swedish newspaper Svenska Dagbladet and was the editor of Barnlitteraturanalyser (Studentlitteratur, 2008) and I litteraturens underland (Makadam, 2011). Furthermore, she is part of an international network of picture book researchers and has published numerous scientific articles and publications. – It's an honor to participate in the work for this amazing prize for children’s and young adult literature, says Elina Druker. The jury for the Astrid Lindgren Memorial Award consists of twelve members, who possess a broad competence in the areas of international children's and young adult literature, reading promotion and children's rights. The jury's mission is to appoint the nominating bodies, evaluate nominees and decide on the laureates. The members and jury Chairman are appointed by the Board of the Swedish Arts Council. Visit www.alma.se/en for more information about the Astrid Lindgren Memorial Award. For questions, please contact Communications Officer helene.andersson@alma.se or +46 (0)76 540 10 17. The Astrid Lindgren Memorial Award (ALMA) is the world's largest prize for children's and young adult literature. The award, which amounts to SEK 5 million, is awarded annually to a single recipient or to several. Authors, illustrators, oral storytellers and those active in reading promotion may be rewarded. The award is designed to promote interest in children's and young adult literature, and in children's rights, globally. An expert jury selects the winners from candidates nominated by institutions and organisations worldwide. The Astrid Lindgren Memorial Award is administered by the Swedish Arts Council.